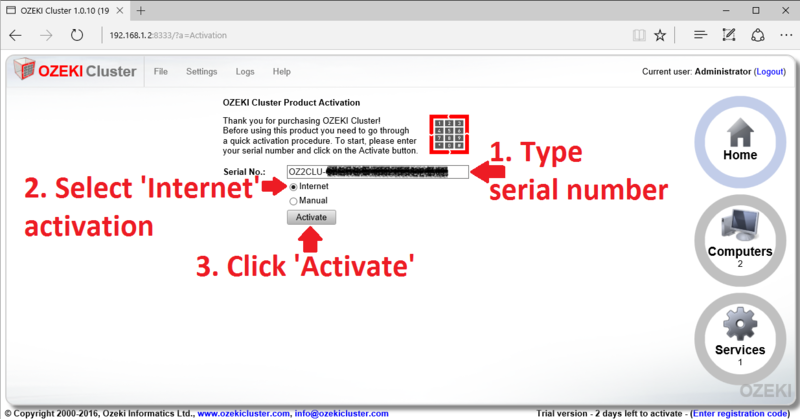 This page explains how you can activate the Ozeki Cluster software after you have purchased a license. To be able to use Ozeki Cluster for more than the 20 day trial period, you need to purchase license. When you purhcase a license, you get a serial number. You need to activate the software with this serial number. The same serial number can be used to activate the software on the primary and the backup server(s). The following guide gives you step by step instructions on how to perform the product activation. Let's start the activation procedure. 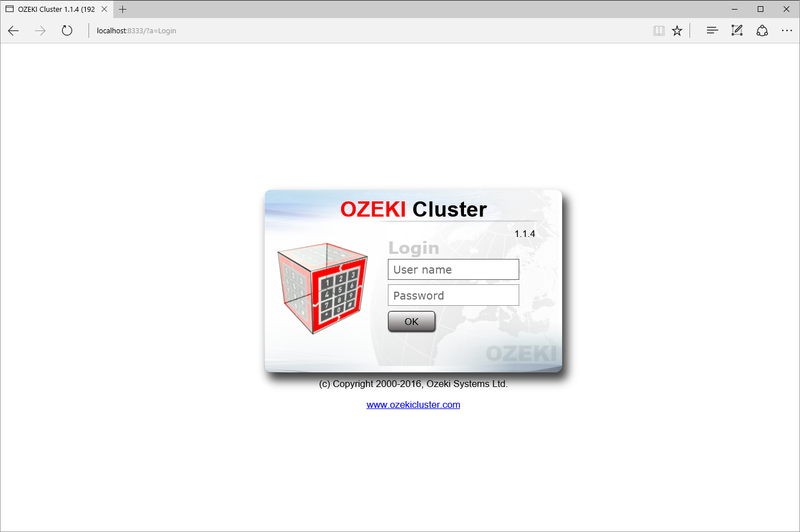 First you need to start OZEKI Cluster from your desktop by logging in to it (Figure 1). 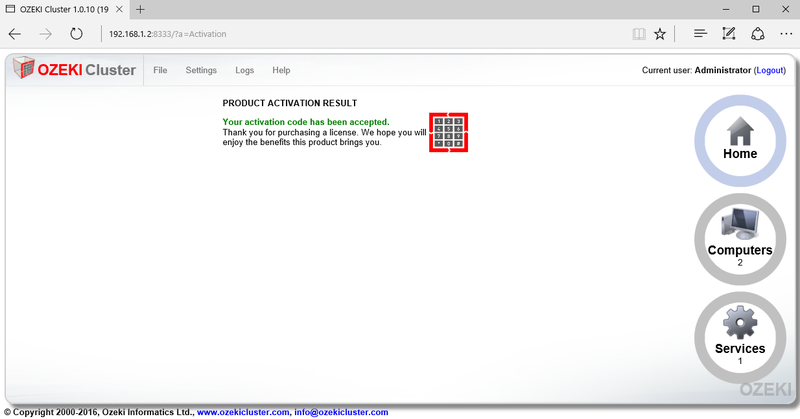 To start the activation procedure, select the 'Activation' item in the 'Help' menu to open the 'Product activation' page (Figure 2). On the 'Product activation' page you can choose between 'Internet' or 'Manual' activation. 'Internet' activation is easier than 'Manual' activation. Both methods need internet connection. 'Internet' activation is explained on this page. To read the manual activation, go to this page. It is really simple. You just need to type your serial number into the required field, choose 'Internet' activation and click the 'Activate' button (Figure 3). Congratulations! You have successfully activated OZEKI Cluster (Figure 4).